Suicide is a serious public health problem that is increasing exponentially in every part of the world. Majority of patients who engage in suicidal attempts have a psychiatric disorder. Mood disorders such as depression and bipolar manic-depression are by far the most prevalent psychiatric conditions linked to suicide. Whereas patients with schizophrenia or an organic brain disorder are strongly linked to a higher-than-normal chance of suicide and suicide attempts with voices that tell them to hurt himself or herself. Other factors that may affect the risk for suicide include mental disorders, substance misuse, psychological states, cultural, family and social situations, and genetics. Common suicide methods in men include asphyxiation, hanging, firearms, jumping, moving objects, sharp objects, and vehicle exhaust gas, while women tend to use a vaster variety of suicide methods than men. Common suicide methods in women include self-poisoning, exsanguination, drowning, hanging and firearms. 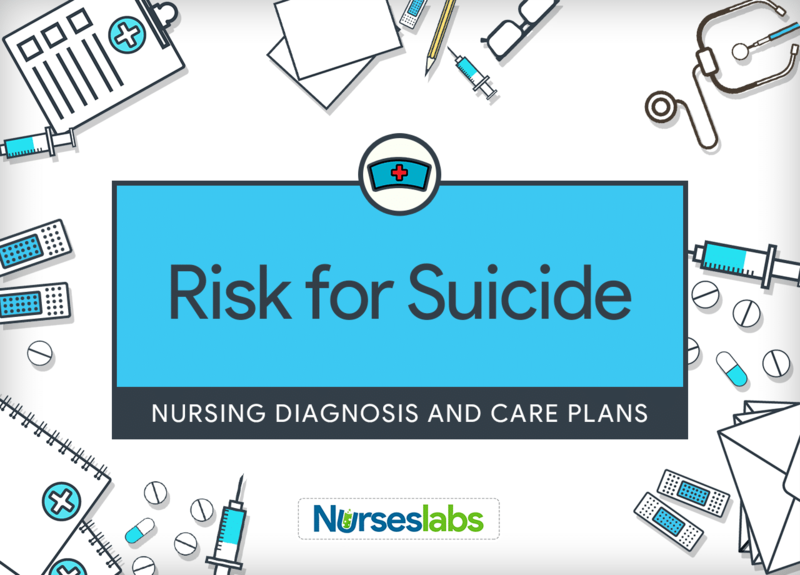 The role of the nurses particular to suicide prevention or patients at risk for suicide includes both systems and patient level interventions. At the systems level, the nurse evaluates and controls environmental safety, improves protocols, policies, and practices consistent with zero suicide, and associates in training for all milieu staff. At the patient level, the nurse assesses outcomes of all interventions, evaluates risk for suicide, monitors and manages at-risk patients, and provides suicide-specific psychotherapeutic interventions. Nurses’ hands-on patient care is vital by taking all threats or suicide attempts seriously and emphasizing a relationship alliance by developing rapport for the patient. Patient confesses suicidal thoughts and feelings. Patient responds to treatment plan to reduce risk for suicidal behaviors. Patient uncovers all desires to harm self and reports to staff promptly. 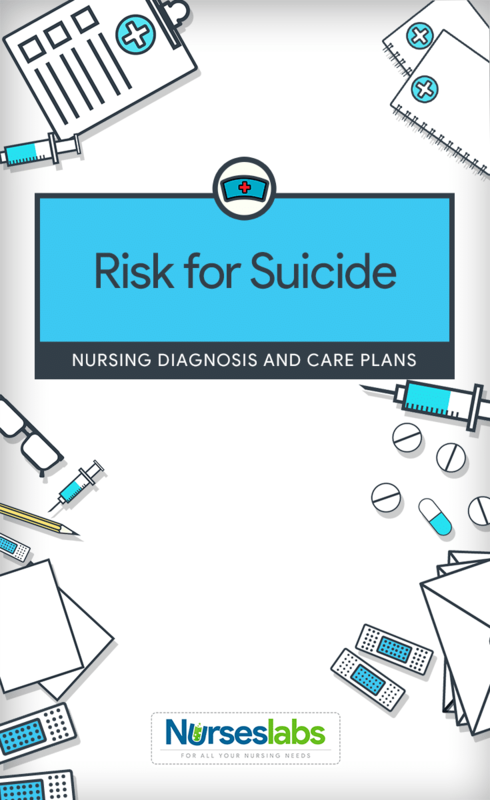 Assessment is necessary in order to identify potential problems that may have lead to suicide and also name any event that may happen during nursing care. Talk to the patient to evaluate the potential for self-injury. Patients considering suicide may display verbal and behavioral cues about their intent to end their life. Suicide ideation is the manner of thinking about killing oneself. The patient’s risk for suicide progresses as these thoughts become more frequent. The patient’s status of suicide risk is distinguished if there is a history of earlier suicide attempts. This allows for the person to discuss feelings and issues openly. Citing a plan and the ability to carry it out greatly increase the risk for suicide. The more harmful the plan, the more serious the risk for suicide. Patients with suicidal thoughts may sense their authority of suicidal thoughts slipping away, or they may feel themselves surrender to a desire to end their life. Observe for risk factors that may increase the chance of suicide attempt. It is a myth that suicide occurs without forewarning. It is also a myth that there is a typical type of a suicidal person. Anyone can be a victim of suicide. This increases the risk for suicide. Most of the patients with suicide attempts give verbal cues of their plans to do so. The person may talk idealistically about release from his or her life and the resolution of problems. Alcohol and drug abuse increase the risk of suicide. The highest risk is among patients who have substance abuse problems. History of severe insomnia is one factor associated with suicide risk. Mood disorders such as depression and bipolar manic-depression are by far the most prevalent psychiatric conditions linked to suicide. This sudden behavioral modification may represent the person’s decision to carry out a suicide plan. Men die by suicide around four times more frequently than women, whereas women attempt suicide two to three times more frequently than men. This action signifies the person’s detachment and withdrawal from life. Determine particular stressors. Determining causative factors aids in developing appropriate coping strategies. Suicide seemed to be an acceptable solution when a person can not find any more solution to his or her problem. Appraise all possible and beneficial coping methods. Patients with history of ineffective coping may need new resources. Assess the need for hospitalization and safety precautions. Patient safety is always a priority. Patients with suicidal attempts should be in a setting with direct supervision. Assess all support resources available to the patient. Depression leads to a sense of hopelessness and the person involved may isolate himself or herself and may be unable to consider available supports. Assess decision-making and problem-solving energy. Impulsivity may be an element of mood and bipolar disorder. Patients may need supervision in decision-making until the mood has been stabilized. Render close patient supervision by sustaining observation or awareness of the patient at all times. Suicide may be an impulsive act with little or no warning. Close supervision is a must. Provide a safe environment. Weapons and pills should be removed by friends, relatives, or the nurse. Removing potentially harmful objects prevents the patient from acting or sudden self-destructive impulses. Present opportunities for the patient to express thoughts, and feelings in a nonjudgmental environment. It is helpful for the patient to talk about suicidal thoughts and intentions to harm themselves. Expressing their thoughts and feelings may lessen their intensity. Also, they need to see that staff are open to discussion. Create a verbal or written contract stating that the patient will not act on impulse to do self-harm. This method establishes permission to talk about the subject. Stay with the patient more often. This approach provides the patient with a sense of security and strengthens self-worth. Disincline the patient in making decisions during severe stress. Patients can learn to recognize mood changes that indicate problems with impulsivity or indicate a deepening depressive state. Help the patient with problem-solving in a constructive manner. Patients can get to identify situational, interpersonal, or emotional triggers and learn to assess a problem and implement problem-solving measures before reacting. Arrange for the client to stay with family or friends. A hospitalization is considered if there is no one is available especially if the person is highly suicidal. Relieve isolation and provide safety and comfort. Educate the patient in the appropriate use of medications to facilitate his or her ability to cope. Drug therapy may benefit the patient endure underlying health problems such as depression. Contact family members, arrange for individual and/ or family crisis counseling. Activate links to self-help groups. Reestablishes social ties. Diminishes sense of isolation, and provides contact from individuals who care about the suicidal person. Educate the patient cognitive-behavioral self-management responses to suicidal thoughts. Patient learns to identify negative thoughts and develops positive approaches and positive thinking. Introduce the use of self-expression methods to manage suicidal feelings. Patients are better to acknowledge and safely handle suicidal feelings by programs such as keeping journals and calling hotlines.